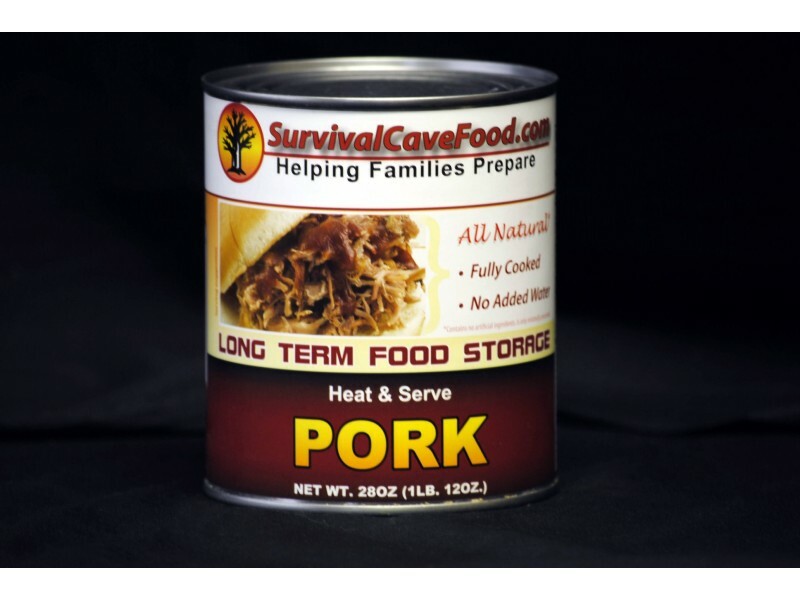 Survival Cave canned pork will provide you and your family with a great meal to help keep you strong and safe in any situation. It is essential to have enough high quality food to survive any type of disaster, and each can you buy will be taking you one step closer to this goal. Each can has 28 ounces of fully cooked pork, so you can open it up and either serve it directly, or add it to other recipes. You and your family will love the great taste as well as all the fact that it is a healthy meal. 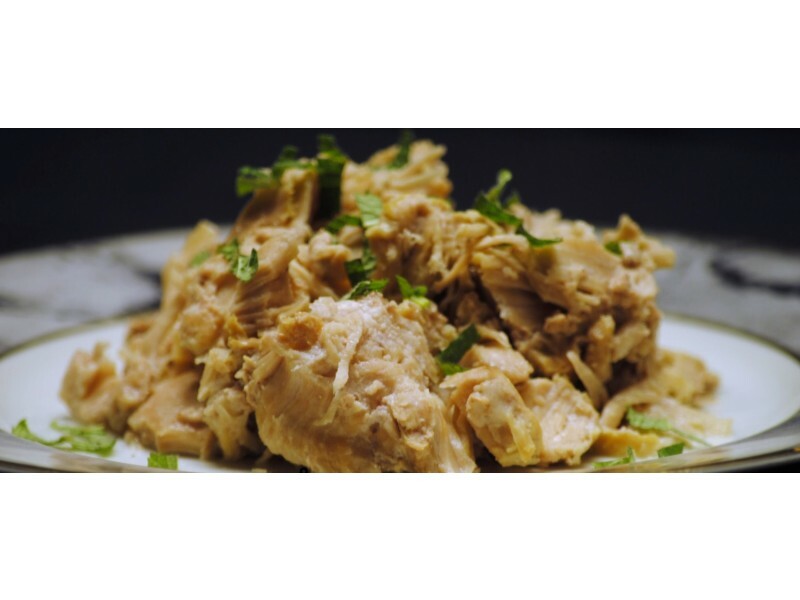 Canned pork is an excellent addition to any food storage system. Order this one can to add to your stockpile, or just to give it a try to make sure you love it. 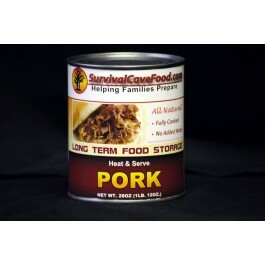 If you typically enjoy pork, however, you’ll surely enjoy the great taste of this fully cooked pork from Survival Cave. The pork is professionally cooked, and then packaged into the high quality can to keep it safe from rotting. In fact, these cans can last for 30+ years on the shelf without going bad. This is quite impressive, and also quite important for keeping you and your family well fed no matter what type of emergency situation comes up. You can also use this great food as emergency rations when going camping or hiking, or even just going on a road trip. No matter where you are, it is important to have enough food to survive any situation, and this canned pork will do just that. Order yours today and it will be shipped out to you right away so you can be that much more prepared for whatever life sends your way. You will get one can of delicious pork with 28 ounces in the can, no water or broth added in, just the all-natural juices of the meat. Our canned storage meats are all natural and DO NOT contain any MSG, artificial additives, fillers or chemicals. They are lower sodium, low in unwanted fat and healthy and balanced for your family. USDA inspected Survival Cave Food canned meats are only made with 100% USDA inspected meats. Many other canned meats are foreign meats or say they are packaged in the USA however the meat in fact comes from other countries around the world and are only packaged in the United States. We only use 100% USA meats! How long will this canned meat last? Each of our canned meats are prepared in a very different technique than most canned meats in the market. They are slow pressure cooked at a very low 240 degrees and have NO EXPIRATION date. A reasonable shelf life is about 12 -15 years however, many people believe it may last 30 - 35 years or even longer.